The Sri Lanka Mercantile Athletic Association have invited MAWA athletes to compete in their annual championships in Colombo in August this year. Anyone interested should contact Delia or Richard. a) For the walks on the 17th March at Perry Lakes we will be joined by WARWC and the event will be used as a training exercise for AWA walks judges. Any MAWA walker who does not want to be judged can collect an armband from Karyn Tolardo. b) The AWA Gallipoli Run is normally held the Sunday before ANZAC day, but this year they have changed it to the Sunday after. Therefore we have no choice but to move our GOT event at Bold Park from 28th April to 21st April. c) The organisers of HBF Run for a Reason have moved that event from its traditional weekend, and it now clashes with the RRC 15k event on 19th May. For our course we can avoid the clash and our start/finish is outside the area affected by Run for Reason. However some roads may be closed so nearer the time we will let members know the best routes to get to our start car park. 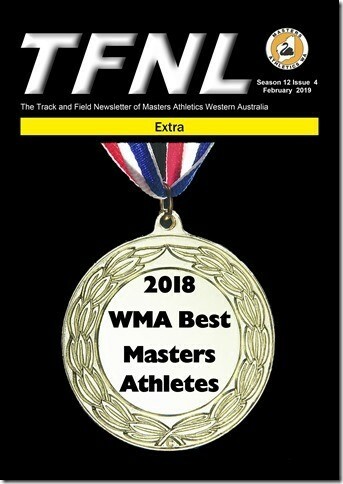 The March edition of TFNL is now available. Please note that the High Jump scheduled for Tuesday 26 February will not be going ahead as Dave Wyatt will be away that week. This special edition of TFNL is now available. ACT Masters Athletics is thrilled to be again hosting the AMA National Half-Marathon Championships. This year, the national championships will be held in conjunction with the 50th YMCA Canberra Half Marathon on Sunday 26 May in Canberra, a little earlier than last year, but hopefully with a chance for better weather! Running in conjunction with the YMCA 50th anniversary event, we expect to attract a big field of quality athletes with much competition, and PBs and records likely on the fast course. The bitumen bike path winds its way through the picturesque foreshores and is well serviced by toilets and drink stations. All entries are online via the YMCA Canberra Half-Marathon entry portal, and early bird entries close midnight on 28 April. To enter, go through the YMCA Half Marathon entry screens, then enter your AMA details and select the AMA Half Marathon registration option. All AMA Athletes are automatically entered into the YMCA race and are also eligible for YMCA medals, so it’s two half marathons for little more than the price for one! More information is available on the ACTMA website. Most outstanding male/female. David Carr/Lyn Ventris. Best performance. Lyn Ventris – 10k walk world record. Administrator of the year. Barbara Blurton – Set up and manages registration system. Club Statistician. Competition Manager for Nationals and States. In team that developed Perth 2016 programme. Lyn Ventris (W60) won three gold medals at the World Championships at Malaga in the 5km track walk, 10km road walk and 20km road walk setting a world record in the 10km event. Lyn already held the world record in the 5km event from National Championships in Perth. Her feats are remarkable given she has only returned this year to competing successfully after a very long layoff from injuries. 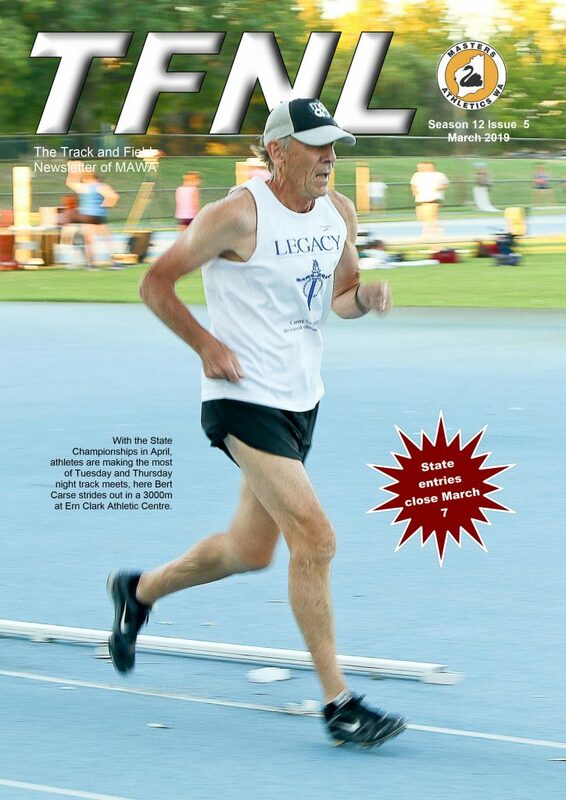 David Carr (M85) holds all M85 Australian Records from 400m to 10000m. He also holds the M85 World records for 800m, 1500m, steeplechase and one mile. At the World Championships in Malaga he won gold in the 800m, 1500m and steeplechase and silver in the 400m.